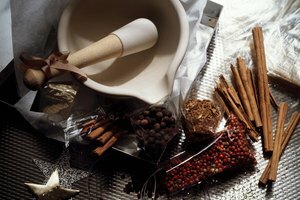 Crushing whole spices and seeds just before cooking releases essential oils, creating a robust and fresh spice flavoring. While electric spice grinders are valuable, you may not have one handy in a moment of need. 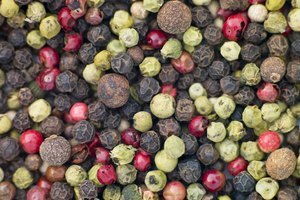 There are a few alternate methods of crushing spices without an electric grinder, and the necessary tools are simple, nonelectric devices that you may already have in your kitchen. 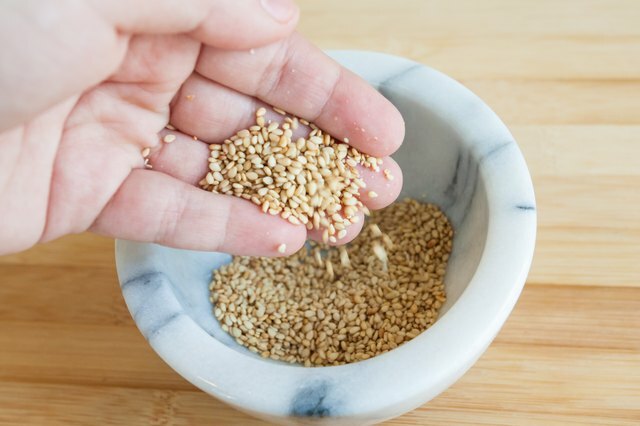 Place the approximate amount of the whole spice or spice seeds needed into the cup of the mortar. 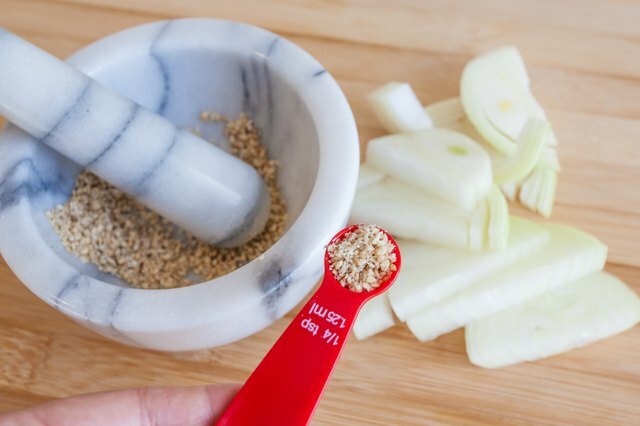 Grind the fatter end of the pestle into the spices with a forceful downward twisting motion. 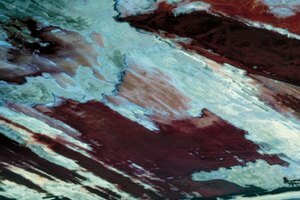 Mortars have a rough inner bowl texture, which helps increase grinding speed and ease through increased friction. 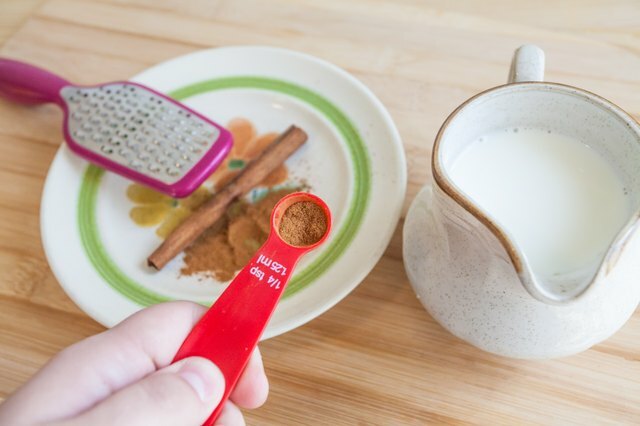 Measure out the appropriate amount of crushed spice needed for your recipe with a measuring spoon. Hold a microplane grater upright by the handle and over a small plate. The grater base should be directly on the plate, with the hand holding it pressing gently downward to keep it from moving. 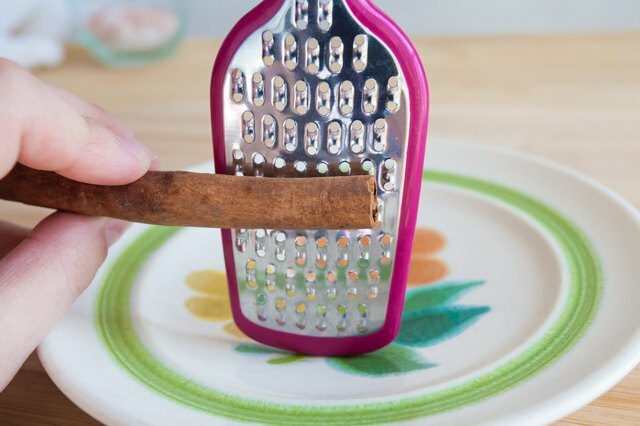 Run the whole spice down the length of the teeth on the grating side of the microplane grater. 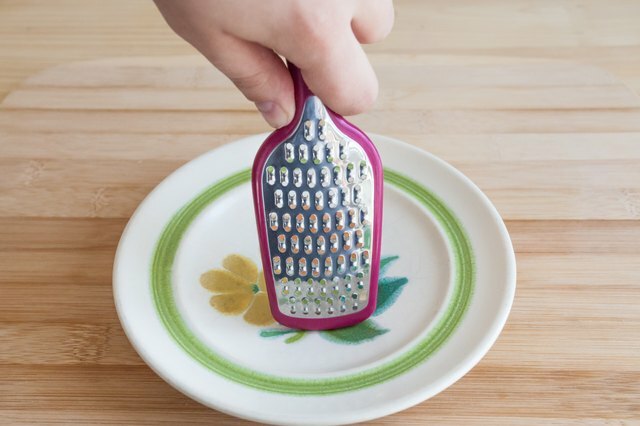 Do this slowly, so as not to accidentally run your fingertips along the teeth of the grater. Repeat this movement until there is not enough whole spice left to grate comfortably or safely. 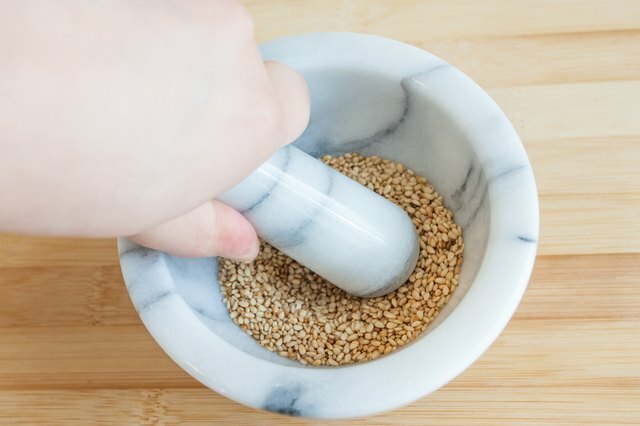 This method will only work with larger whole spices, such as nutmeg. 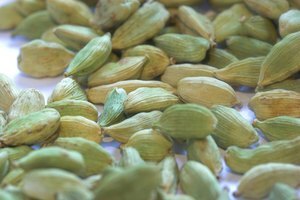 Do not attempt this with smaller spice seeds, such as mustard or cardamom seeds. 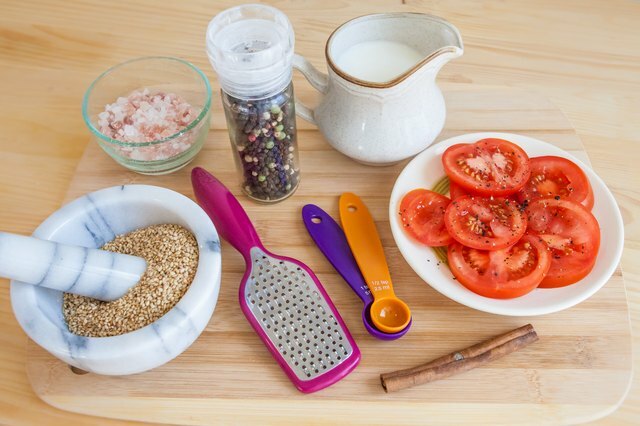 Measure out the appropriate amount of grated spice needed for your recipe with a measuring spoon. 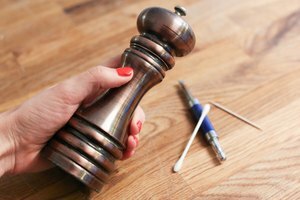 Unscrew the top of your empty pepper mill and remove it. 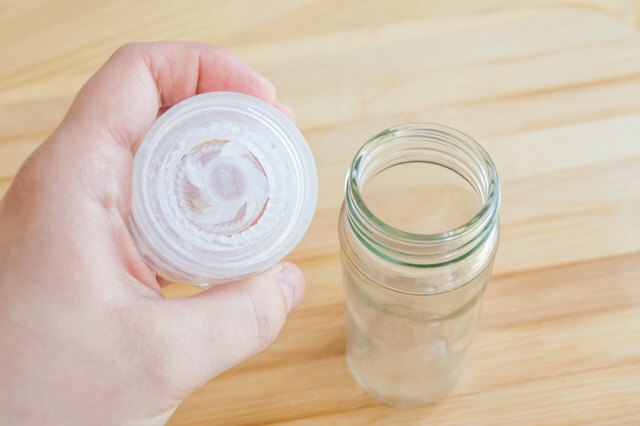 Clean out the empty pepper mill with warm water and dish detergent. 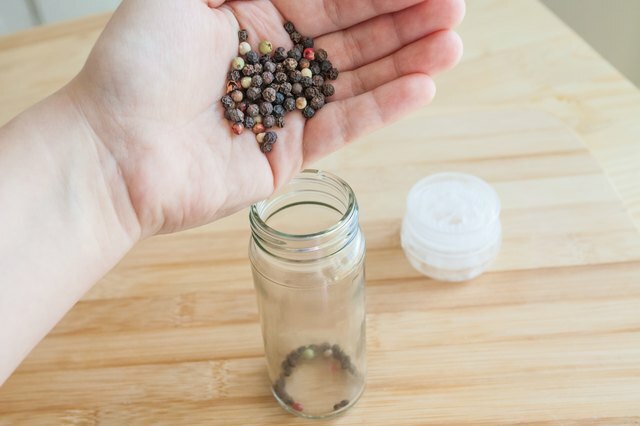 Given the difficulty of getting a dishcloth down inside of a pepper mill, you may need to simply fill the pepper mill with soapy water and swish it around, followed by a clean water rinse. Allow sufficient drying time. 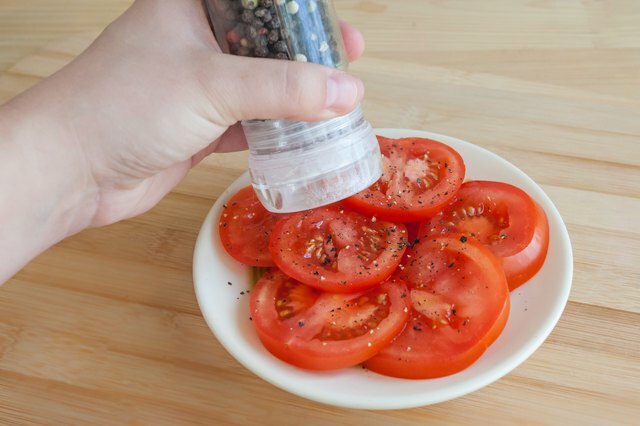 Secure the top of the pepper mill back on, hold the pepper mill over the food you're preparing, and twist the top to activate the grinding mechanism.